Enter into prophetic praise & worship with some of the songs having a refreshing contemporary Native American style. Singing these songs at your place of worship will usher in the presence of God. Brenda Hamilton began writing songs from a heart worship as God began to give her new songs. Songs coming quickly, a new sound emerges with a resounding message of revival, spiritual warfare, comfort, encouragement, repentance, restoration, and such a spirit of praise to a Holy God! Singing in the presence of God's glory, new songs are given in prophetic worship as God's Holy Spirit changes the atmosphere and a heavenly portal is opened in worship. 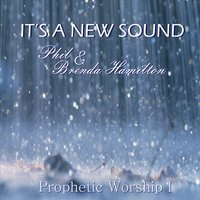 Phil & Brenda Hamilton Music are excited to begin to release these new songs that have a fresh message of God's heart to His people.